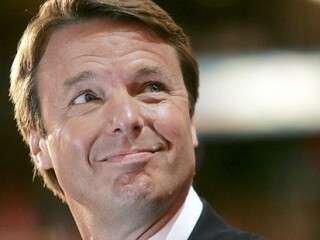 Johnny Reid "John" Edwards (born June 10, 1953) is an American politician who served as a U.S. Senator from North Carolina. The son of a mill worker and shop owner, Edwards was raised in the small town of Robbins, North Carolina. He graduated with honors from North Carolina State University in 1974 and earned his law degree in 1977 from the University of North Carolina at Chapel Hill. He was the Democratic nominee for Vice President in 2004, and was a candidate for the Democratic presidential nomination in 2004 and 2008. He defeated incumbent Republican Lauch Faircloth in North Carolina's 1998 Senate election. Towards the end of his single six-year term, he sought the Democratic presidential nomination in the 2004 presidential election. He eventually became the 2004 Democratic candidate for vice-president, the running mate of presidential nominee Senator John Kerry of Massachusetts. In 2010, Edwards publicly revealed that he had an affair with aide Rielle Hunter and fathered a child out of wedlock while his wife was fighting metastatic breast cancer. Edwards made his career as a trial lawyer, mostly representing families and children against large corporations and the insurance industry. In 1998, he brought this spirit of advocacy to the political arena, running for and winning a seat in the United States Senate. In Congress, Edwards championed familiar causes: quality health care, better schools, protecting civil liberties and saving Social Security and Medicare. As a member of the Select Committee on Intelligence, Edwards also worked to strengthen national defense and homeland security. In July 2004, Democratic Presidential nominee John Kerry chose Edwards to be his running mate. Later that month, Kerry and Edwards were joined by speakers Bill and Hillary Clinton, Jimmy Carter, Madeline Albright and others at the Democratic National Convention in Boston. In November 2004, after a hard-fought and often bitter campaign, Kerry conceded the presidential election to incumbent George W. Bush. In December 2006, Edwards announced his entry into the 2008 Presidential election. In March 2007, Edwards stated he will continue the campaign despite the reappearance of his wife's cancer. After several disappointing finishes in the primaries and caucuses, Edwards suspended his campaign on Jan. 30, 2008. He endorsed Sen. Barack Obama of Illinois on May 14 during a campaign rally in Grand Rapids, Michigan. Edwards and his wife, Elizabeth, met as law students at Chapel Hill. They married in 1977 and have had four children, including Catharine, a student at Princeton University; five-year-old Emma Claire and three-year-old Jack. Their first child, Wade, died in 1996. View the full website biography of John Edwards.